Stamps issued by Latin American countries are in demand. 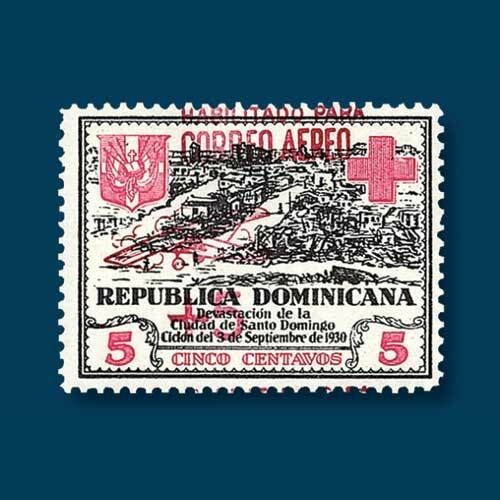 Collectors are seeking stamps from Dominican Republic in particular. The Dominican Republic is a part of the island of Hispaniola. Dominican baseball players are also popular in Major League Baseball. A Category 4 hurricane killed almost 8,000 people from the country in September 1930. It was one of the fifth deadliest Atlantic hurricanes. A set of eight Hurricane Relief postal tax stamps were released in December 1930. Seven of them were overprinted and surcharged as postal tax airmail stamps on 3rd December 1930. The set of seven postal tax airmail stamps has a listed value of at $79.50 in unused hinged condition and $87.50 in used condition. The first two stamps bear almost 70% of the value since they were sold only for one day.